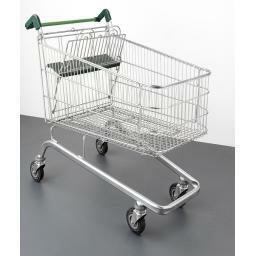 All our used trolleys are fully serviced, mended and new casters installed where necessary. They are a great option for those on a budget. 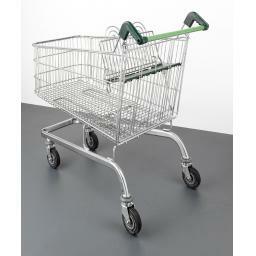 This is a good sized trolley and popular with pick and pack warehouses. We can remove the baby seats and stop the gate from falling open or flit a clipboard to the handle if alterations are required for warehouse use.